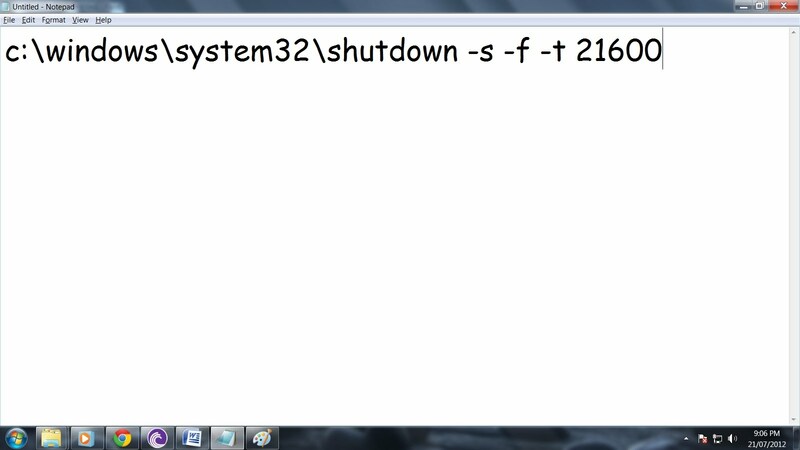 TOP FURTIVE: Set Timer for Automatic Shutdown using Notepad. Set Timer for Automatic Shutdown using Notepad. Are you anxious of losing the data when you are asleep and screen is log off or the PC is shut down after some specific amount of time?? Many people keep downloading the file, movies, videos etc during the night time and they are fast asleep. Watching movies on your laptop and then lying asleep the next minute, with only ghosts left to watching your boring movie or set their downloading files in queue for overnight downloading. If the timer is set then the PC will log off or it will shut down after that time is complete.In my last post to Set a Timer for Automatic Shutdown using Shortcut. To overcome this problem, you can set your own shut down timer which will make the PC active and will also not allow the PC to log off or turn into standby mode. 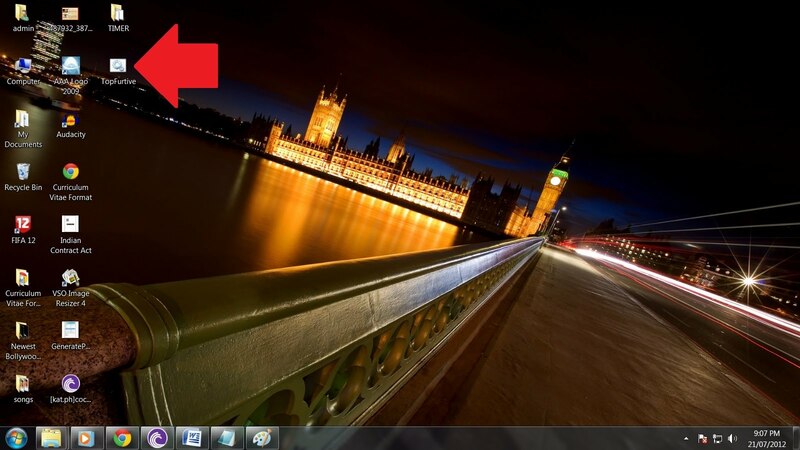 Whichever amount of time is required you can set a timer and can do any work or also keep the PC idle. After the timer will complete its time, it will automatically be shut down. This timer mostly helps when any file takes more time to download. 1. 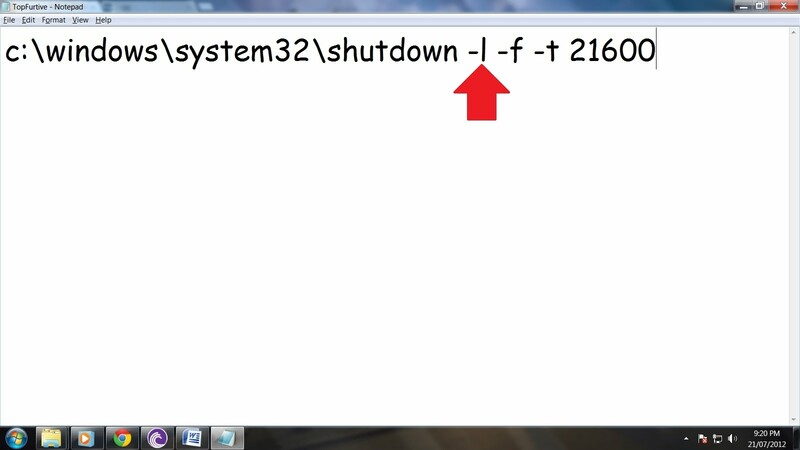 Open a Notepad and type the following code “c:\windows\system32\shutdown -s -f -t 00”. s is the command for shutdown. 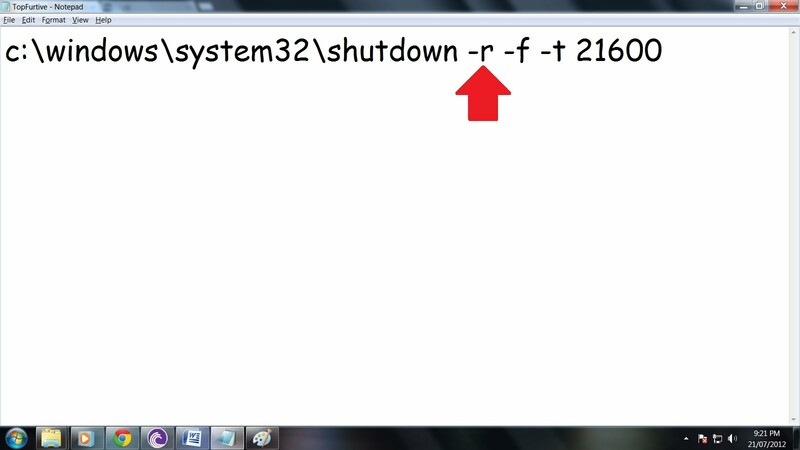 f is for performing a forced shutdown. If an application stops responding when shutting down, this command will force shut it. Using this command is not compulsory, but recommended. And next, the t command is for specifying the time the shutdown will take place. After you put the t command give a space and then enter the time in seconds. For E.g. To stop PC after 2 hours, enter "c:\windows\system32\shutdown -s -f -t 7200”. And after 6 hours, enter "c:\windows\system32\shutdown -s -f -t 21600”. 2. The last two digits of the code indicate the time you need to set. 3. Save the file with any name of your choice and “.bat” extension. 4. On opening that file, the timer will start and it will shut down after the time which is complete. 5. This timer will always keep the CPU busy and will not allow it to sleep. If you want to restart the computer instead of shutting it down, replace the ‘s’ with ‘r’. Similarly, if you’d like to logoff, replace ‘s’ with ‘l’. Have a glance at this video , if you have any problem video related to this post will be cleared by this video. Special thanks to my Friend CHIRAK MISTRY for helping me to know "How to Set Timer To Shutdown PC?" IF ANY TYPE OF PROBLEM RELATED TO THIS POST, SUGGESTIONS ARE WELCOMED IN COMMENTS. PLEASE COMMENT IF YOU LIKE THE POST. Artikel Set Timer for Automatic Shutdown using Notepad. ini dipublish oleh Unknown pada hari . Semoga artikel ini dapat bermanfaat.Terimakasih atas kunjungan Anda silahkan tinggalkan komentar.sudah ada 0 komentar: di postingan Set Timer for Automatic Shutdown using Notepad. How To Make Your iPhone’s LED Flashlight Blink On Receiving An Incoming Message, Call Or Notification. How To Make Your Android Led Flashlight Blink On Receiving An Incoming Message, Call, Alarm Or Notification. 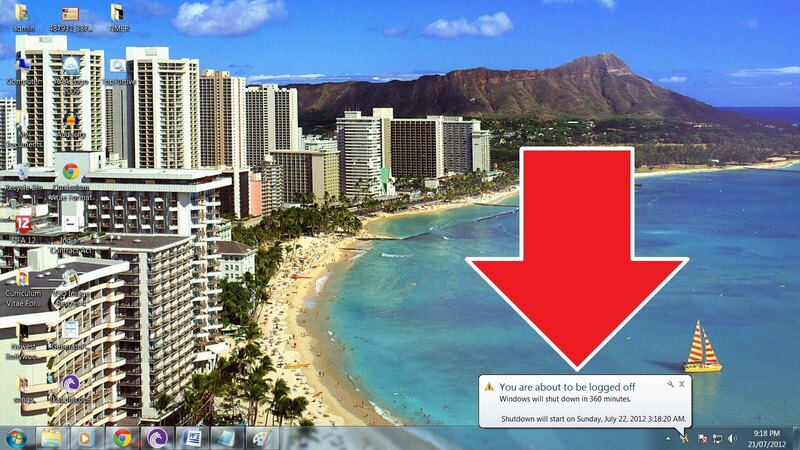 [Solved] “Windows Is Not Genuine” - How To Fix Windows 7 Genuine Version Error Message. 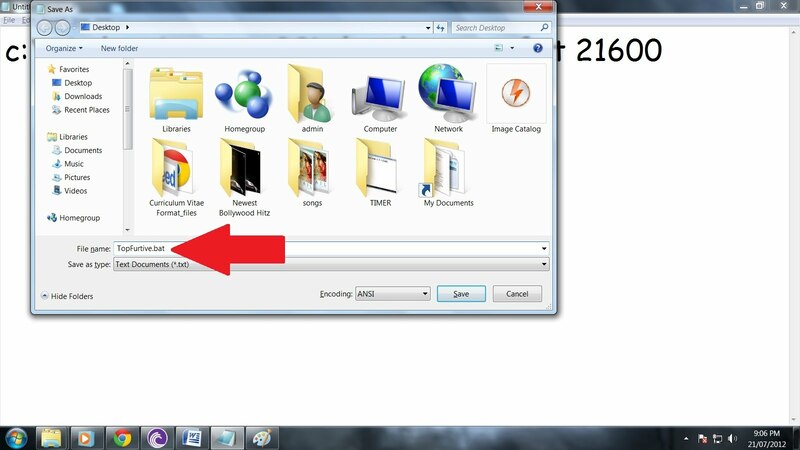 How to Download Youtube Videos For Free On Mozilla Firefox. Solution => "GOOGLE SIGN IN ERROR" In Android Phones And Android Tablets. Download Torrent Files Without Client Using zBigz.